Virtual Ability: MHS Speaker Spotlight: Tracy Burrows, PhD. MHS Speaker Spotlight: Tracy Burrows, PhD. With the sixth annual Mental Health Symposium coming up on the 27th of this month, we will feature a series of "speaker spotlights" in the coming days to introduce the presenters and share a bit about their topics. We are pleased to bring you this one-day conference with this year's theme being, "I can relate to that." 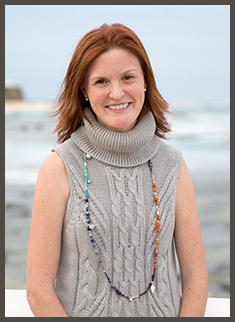 Tracy Burrows, PhD, is an Associate Professor in Nutrition and Dietetics at the University of Newcastle in Australia. She is an Advanced Accredited Practicing Dietitian. She is highly passionate about all things food, food behaviours, and communicating high quality, evidence-based information about diet and nutrition. Tracy has expertise in the areas of the assessment and validation of dietary intake, obesity management across the lifespan and food addiction. She has delivered a range of community interventions and is involved in all aspects of teaching, from undergraduate through postgraduate. Dr. Burrow’s presentation will open the conference at 6:00am US Pacific time (9:00am US Eastern). Her talk is titled “Diet, Nutrition and Food Addiction.” The talk will provide an overview of what is currently known about food and nutrition and recent research investigating food addiction. These studies have shown overlaps between food addiction and other mental health issues, particularly depression. View the full symposium schedule, given in our previous announcement. The symposium is free and open to the public.